Welcome to the Carroll County Gun Club web site. We are located in the southern half of Carroll County, off of Rt. 26 (Liberty Road), about 1/4 mile east of Rt. 97. 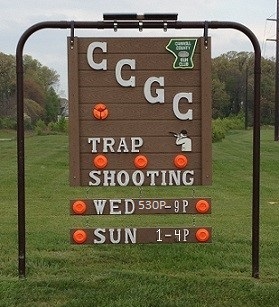 The club is open to the public and we encourage everyone interested in the sport of trap shooting to visit and shoot with us. Practice Round Gift Cards are available for purchase give us your opinion. Thanks for your support. No Pistols or Rifles permitted!